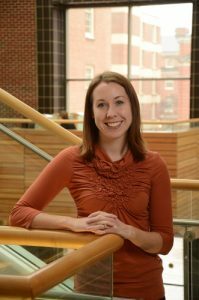 P30 Center Trainee, Dr. Alison P. Sanders, was awarded the “Celebrating Women In Toxicology Award” from the Society of Toxicology for scientific merit and outstanding demonstration of leadership and service to the scientific/toxicology community. This award was inspired by the generosity of Ms. Anne Wolven Garrett, one of the early leaders in the field of toxicology. As a tribute to Ms. Wolven Garrett and all past and future female leaders of SOT, the Celebrating Women in Toxicology Award will recognize and encourage women who are in the early stages of developing their careers in the field of toxicology. The award will be presented at the SOT annual meeting on Wednesday March 15 5:00-7:00PM in Baltimore MD. This entry was posted in In the News on January 12, 2017 by mountsinaitceee.